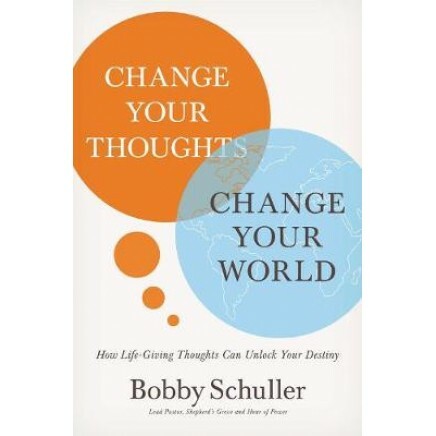 Pastor, writer, and host of the popular television broadcast Hour of Power, Bobby Schuller shows readers the importance of paying attention to our thoughts because they shape our actions. There is no doubt that our thoughts impact our lives. What we think about will ultimately result in the decisions that will guide our lives. Yet we very often don't think about what we think about. We don't realize that our thought lives can be scattered or disciplined, anxious or at peace, filled with faith and hope or wallowing in despair. We instead just allow our minds to wander like corks on the sea. What if we are supposed to be training our minds, thinking with discipline, so we can be the people God has called us to be This, of course, is what God wants for us. In his letter to the Corinthians, Paul urges us to "put on the mind of Christ." Too often, we allow very dark thoughts like bitterness, entitlement, fear, or despair to be our norm. Then we self-medicate through substances, work, or other vices just to get our minds off of what's ailing us. In this book, Schuller explains why we need to focus our thoughts on whatever is true, noble, right, pure, lovely, admirable, excellent, or praiseworthy, as Philippians says. He shows us how to train our minds through spiritual disciplines and prayer. For anyone who feels stressed out, exhausted, or in a rut, this book can change their thoughts and their lives.